Jose Mourinho challenged Paul Pogba to earn his trust at Manchester United after he praised the midfielder for his response to being told he was going to be dropped for the Champions League tie against Sevilla. Pogba is likely to be back in the starting line-up for tomorrow's clash with Chelsea, but the tension between manager and most expensive player has cast a big shadow over the club in recent weeks. Mourinho is not one to back down in a dispute, but neither does he want to prolong one unnecessarily and he was full of compliments for the way Pogba handled himself in Spain. But the United manager also made a pointed remark about players needing to earn his trust when answering a question about why he has placed so much faith in Scott McTominay. "I think, I don't give trust for free," said Mourinho. "I think it is the other way around. I don't think it's about the manager to trust the player. Is the player to make the manager trust him - it is as simple as that. "Sometimes, it looks like we have to give everything to the players and they give nothing back to us. I don't think that way. "The confidence and trust I show towards Scott - he earned it since day one, step by step. Since the first moment, he was learning that is the way to perform. "Of course, he will have bad matches and make mistakes and be on the bench, but I know the kind of mentality, the player I am developing. I know the qualities that will make him a really good player." Pogba's form has dipped alarmingly and Mourinho made a very public point by dropping him. And the comments about McTominay would also appear to apply to Frenchman, who, despite his £89m price tag, is still just 24. 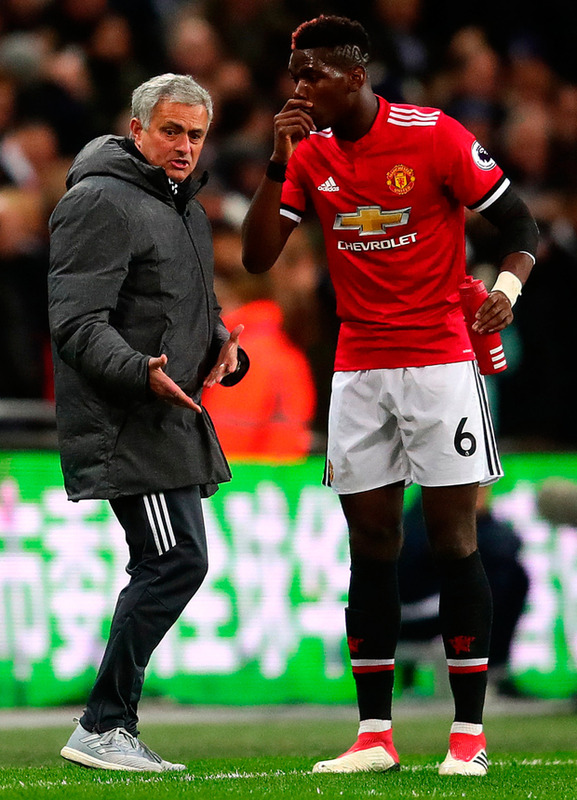 Mourinho praised Pogba for the role he played in the goalless draw with Sevilla and will look for further evidence the message is getting through to the France international about how he needs to play, but also conduct himself around the training ground. "You saw the game against Seville," said Mourinho when asked about Pogba's reaction to being dropped. "It's always more difficult to come from the bench than to start. A player when he is starting the game has a different kind of preparation for it. To come on without warming up and getting to the pace of the game is not easy. "I think he had a very positive game for us. Some players take five minutes to be ready to play, they don't have shin pads, strapping, the shirt, he took 10 seconds to be ready to come to the pitch, to show the professionalism."